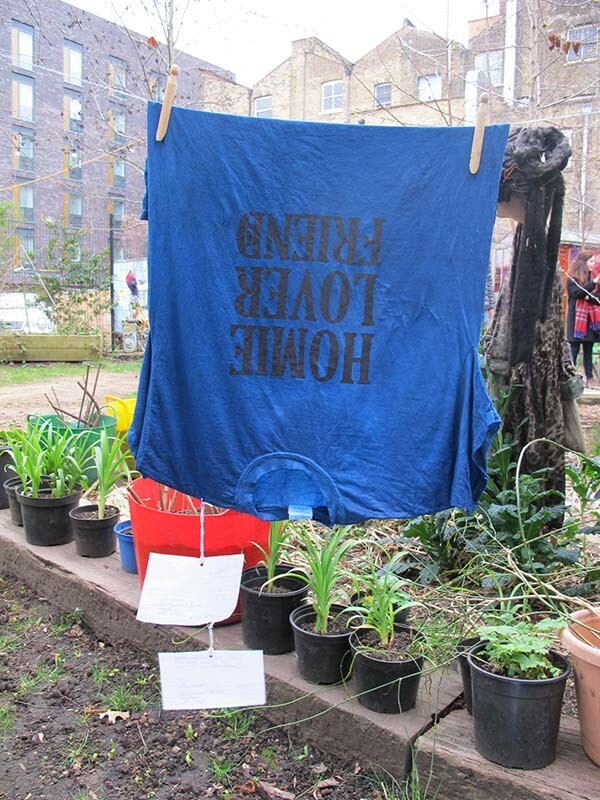 On the 28th of March 2015, fifteen people came together to share an indigo dye vat and stories about their clothes. From this day a collection of garments exist bound together by colour, time, place and cooperation. 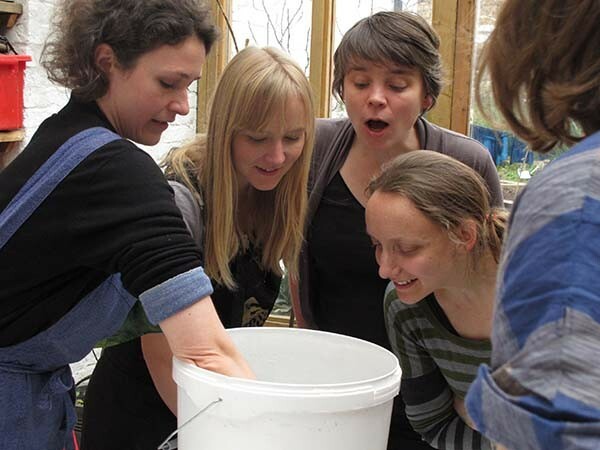 During the workshop we engaged with the raw ingredients of colour, whilst making connections to our environment and to a sense of place. Different shades of blue were made from dark to light, forming a pallet that was determined by the indigo dye combining with the raw materials from which the garments were originally made. 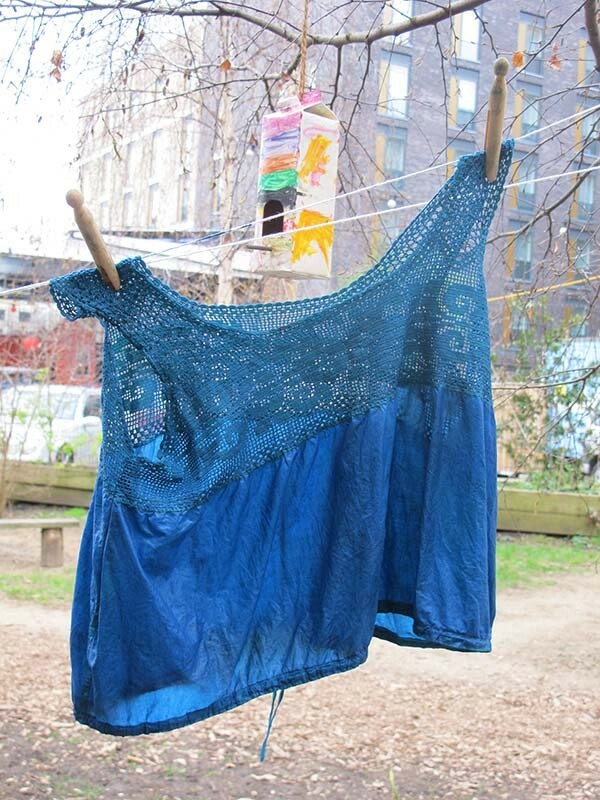 The garment histories and imagined new roles for these now blue garments were collected on note paper and pinned to the garments whilst drying in the garden. 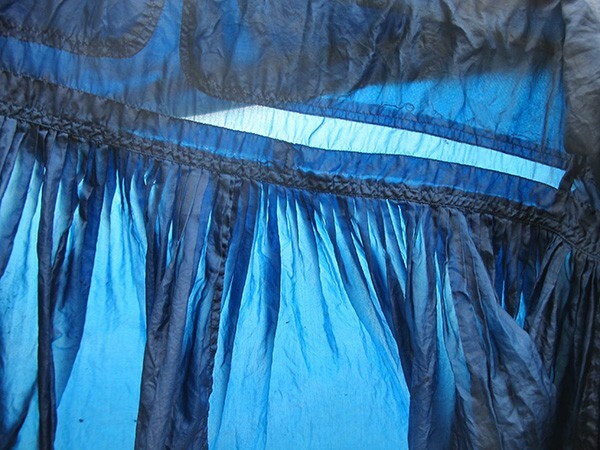 Once dry the garments were ironed, photographed, exhibited, packaged and sent by post back to each participant with a newspaper catalog documenting each blue garment, it’s story and the dye process. 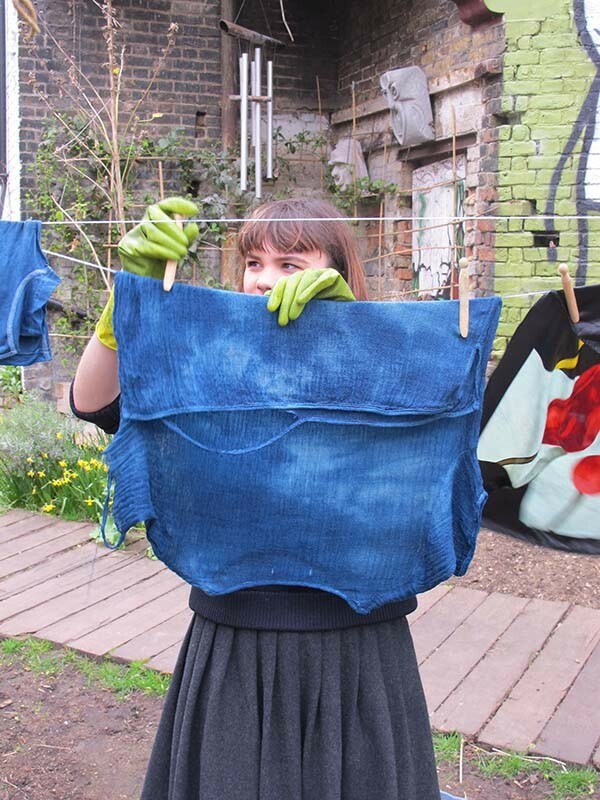 The Blue Collection project employs a natural indigo dye process to address conventional notions of time, labour and of materials and resources, simultaneously through this process, inviting an imaginative and sensory relationship with cloth, garments to evolve. The emphasis is placed on enjoying, sharing and relating directly to materials. The project calls for the value of a fashion collection to broaden beyond the notion one designer or brand, to instead encourage us to consider all perspectives involved in a garment (collection) genesis: the creator, the mender, the owner, the community member, the viewer, the outsider.